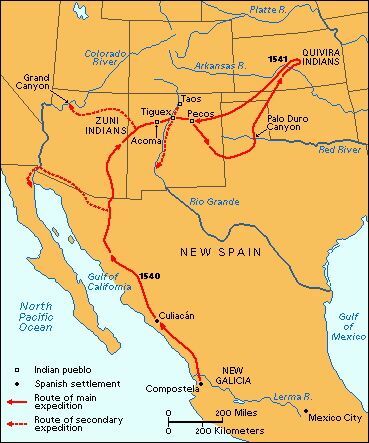 October 21, 2014 - Using 16th-century maps but traveling on 21st-century highways — and even some waterways — my cross-country trip has been roughly following the route of Álvar Núñez Cabeza de Vaca, the Spanish conquistador who spent almost eight years traveling across the North American wilderness from 1528 to 1536 — from Tampa, Florida, to Mexico City. 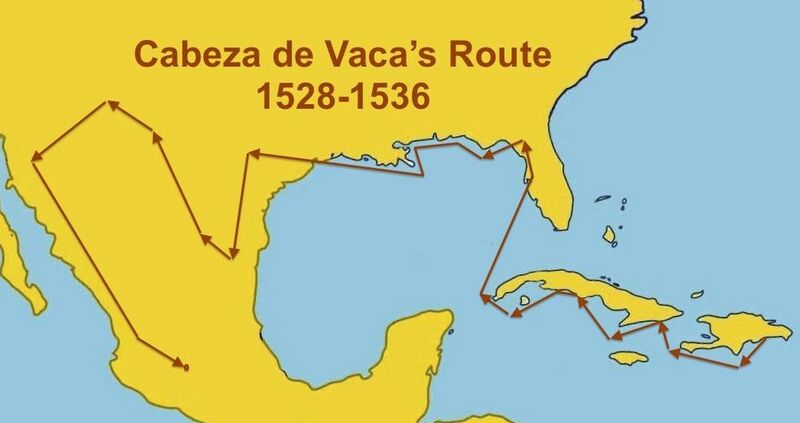 But when Cabeza de Vaca's trail finally headed south into Mexico, my Great Hispanic American History Tour — faithful to the mission of promoting the hidden Hispanic heritage of the United States — had to turn north, on the trail of the other conquistadors who came to North America. 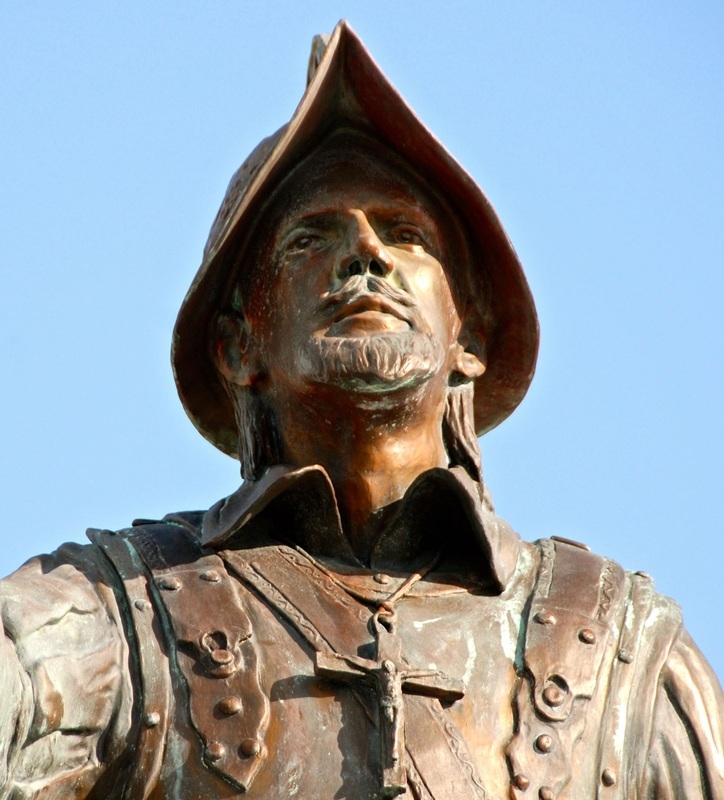 After all, when you get to southern New Mexico and Arizona, you are entering another crossroads of conquistadors. Shipwrecked off the coast of Florida and unable to establish what would have been Spain's first North American colony, Cabeza de Vaca and his fellow castaways knew that moving west along the Gulf Coast, they would eventually hook up with Spanish forces in what they described as "the land of the Christians," or New Spain, now known as Mexico. 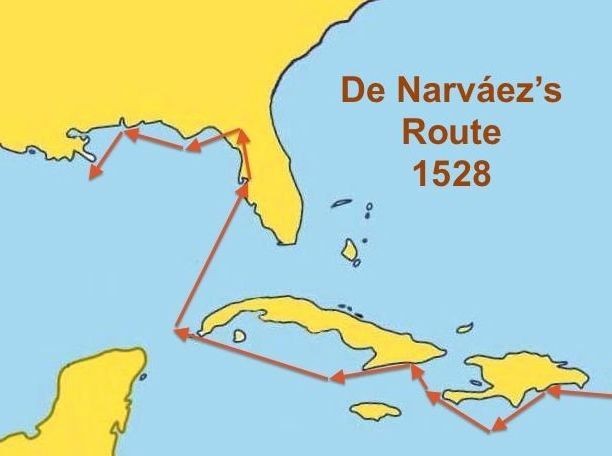 Of the 300 men on the ill-fated 1529 Panfilo de Narváez expedition, only Cabeza de Vaca and three other crew members — Andres Dornate, Alfonso Castillo and the slave Estevanico — realized that remarkable and historic feat. 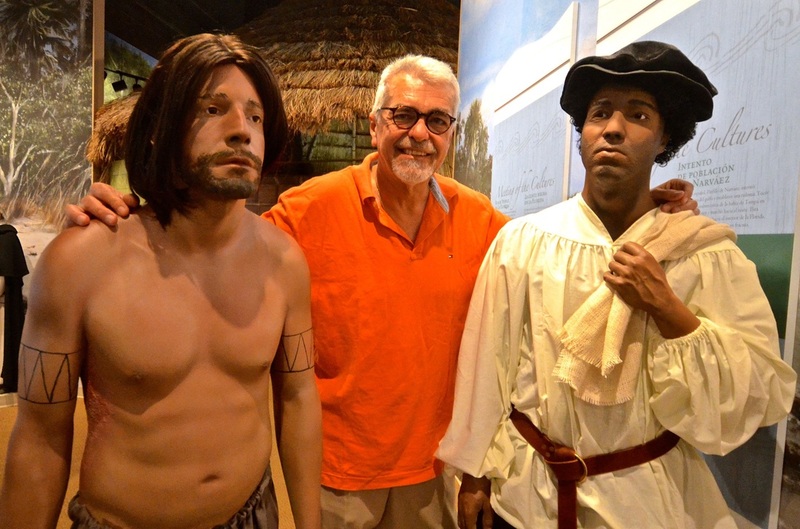 A fifth survivor, Juan Ortiz, was captured by Florida natives and lived as their slave until he was rescued by another Spanish expedition 10 years later. 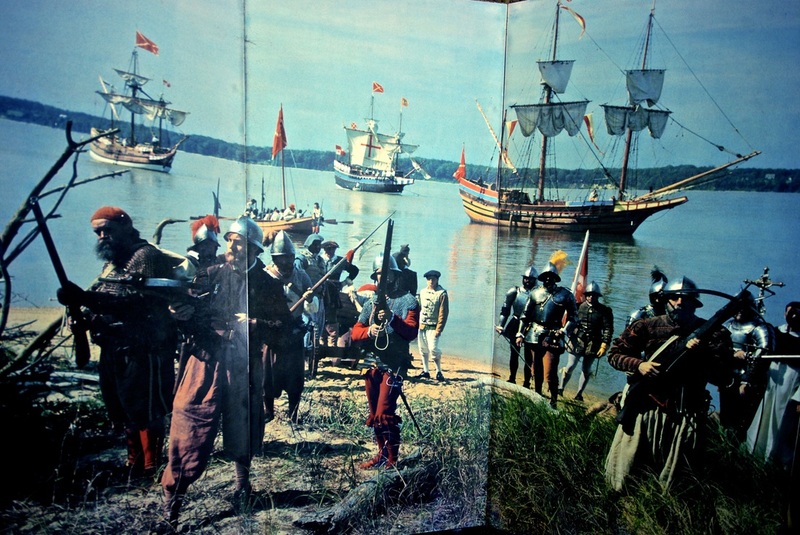 All the others drowned, were killed by natives or succumbed to starvation or diseases. But even after Cabeza de Vaca and the other survivors reached present-day Texas, before veering south into present-day Mexico, they had to keep moving west. Friendly natives had warned them that the natives to the south would not be so friendly and that their lives would be in danger. 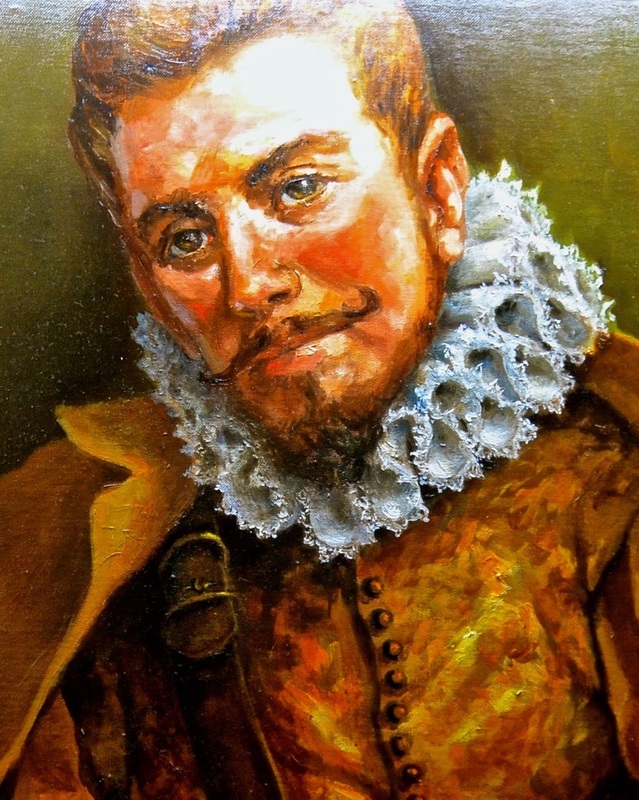 When Cabeza de Vaca finally reached Spanish forces, in what is now the state of Sinaloa in northwestern Mexico, he had traveled almost entirely across North America on foot and rafts, nearly reaching the Gulf of California, also known as the Sea of Cortéz. 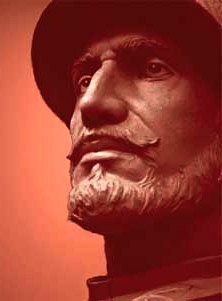 Although their journey had been an awful odyssey and although Juan Ponce de Leon and other Spanish conquistadors who came earlier had encountered mostly hostility from the natives, the stories they told in Mexico City and Spain — about the huge potential of the North American frontier — triggered several other Spanish expeditions to North America, by sea from the Caribbean and by land from Mexico. 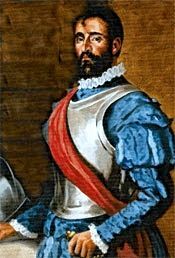 Mexico's gold already had enriched Spain's coffers, and there was no reason to think that the land to the north would be any less wealthy. 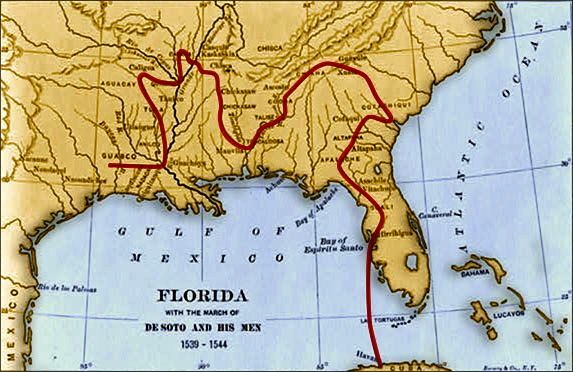 In 1539, the Hernando de Soto expedition also landed in the Tampa Bay area, rescued Ortiz — who became the group's guide and interpreter — and went on to explore the territory that later became Florida, Georgia, South Carolina, North Carolina, Tennessee, Alabama, Mississippi, Arkansas and Louisiana. 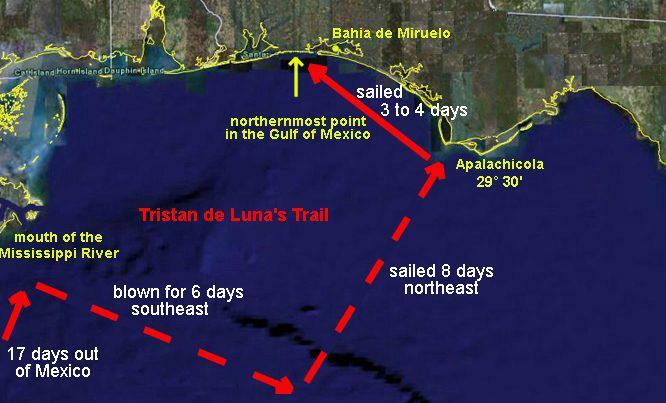 In 1559, conquistador Tristan de Luna led another Spanish expedition, which settled in present-day Pensacola, Florida, but was wiped out by a hurricane. 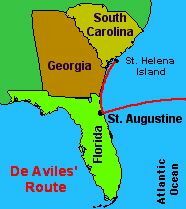 In 1565, Pedro Menéndez de Avilés established America's first permanent European settlement, in St. Augustine, Florida. 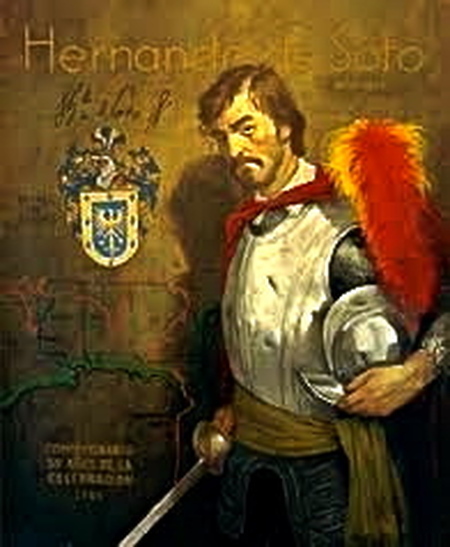 Between 1566 and 1568, conquistador Juan Pardo established forts and settlements in the Carolinas. 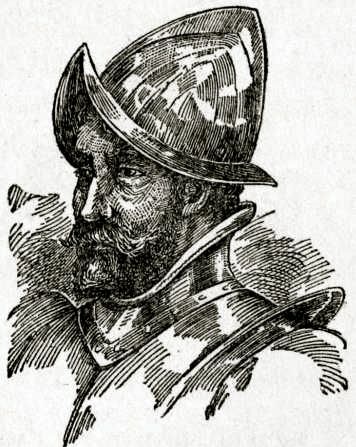 But on the western side of the continent, the land expeditions also began in 1539. 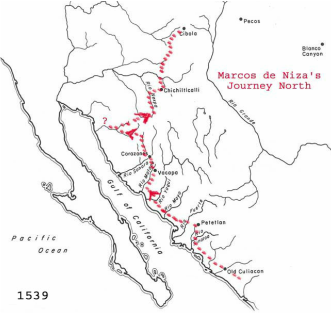 That's when Marcos de Niza — with Estevanico as his guide — led a small group of explorers from Culiacán, Mexico, and crossed today's southeastern Arizona and reached present-day New Mexico on a mission to find the fabled Seven Cities of Cíbola. 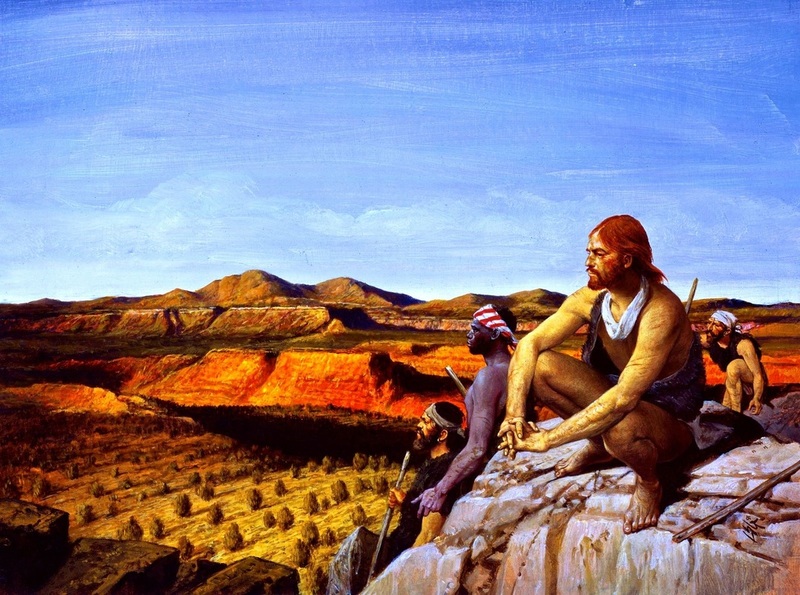 Zuni Indians reportedly killed Estevanico, one of the first Africans to step ashore on what is now the continental United States — although there are those who believe he simply went to live with them to escape from his enslavement. 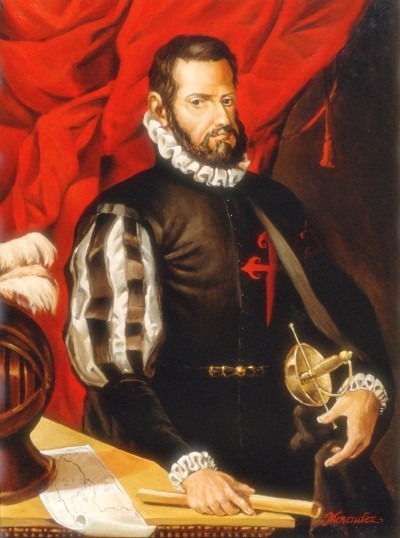 But de Niza returned to Mexico claiming to have seen Cíbola, a mountaintop city of gold as large as Mexico City. 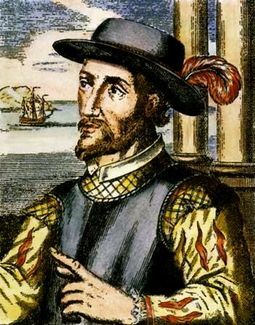 And although he saw it only from a distance, he created the incentive for more expeditions. He was followed later that year by the Spanish commander of San Miguel de Culiacan, Melchor Díaz, who was assigned to investigate de Niza's findings. 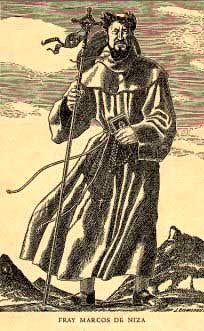 Díaz went into present-day New Mexico with 15 horsemen but returned to Mexico rejected by "snows and fierce winds from across the wilderness," and he claimed to have found no evidence of the bountiful land described by de Niza. Nevertheless, the following year, with de Niza as the guide, Francisco Vasquez de Coronado led a massive expedition from Mexico all the way to present-day Kansas, never finding the cities of gold and realizing that the golden structures de Niza had seen were only adobe buildings glittering in the sunlight. 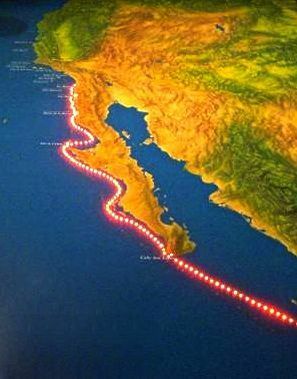 But they discovered huge North American landmarks, including the Colorado River and "the biggest hole in the world," now known as the Grand Canyon. By 1542, only 50 years after Christopher Columbus discovered the New World, the Coronado and de Soto expeditions had explored huge portions of the current U.S. mainland, and Juan Rodriguez Cabrillo, sailing from New Spain, had explored the Pacific coast and claimed western North America, including California, for Spain. 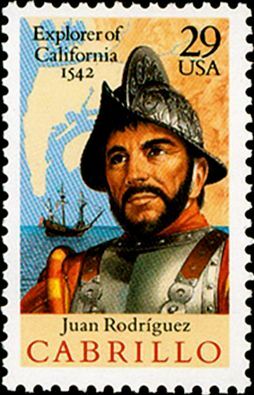 And by 1559, when de Luna landed near Pensacola, or 1565, when Menéndez settled in St. Augustine, or 1566, when Pardo reached the Carolinas, or 1598, when "the last conquistador," Juan de Oñate, led another huge expedition into New Mexico, the Spanish were no longer coming to explore North America. They were coming to stay. 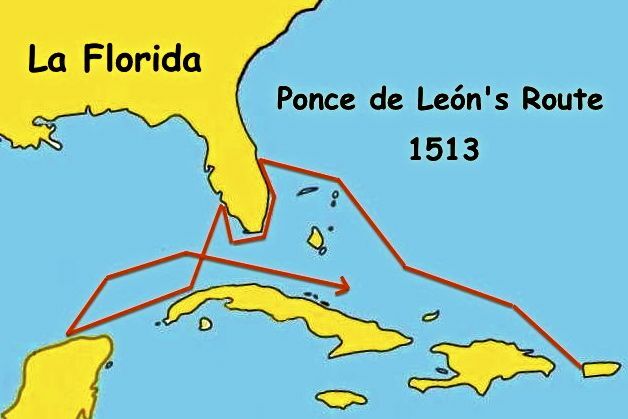 It was all before the British arrived and settled in Jamestown in 1607, all part of that first American century, which started with Ponce de Leon in 1513 and which many American historians tend to forget. 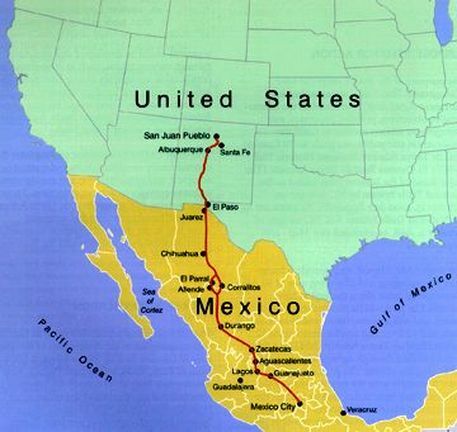 Next week, the Great Hispanic American History Tour goes back to the U.S.-Mexico border, this time in southern Arizona, to explore the Coronado National Memorial and to pick up a new, northbound trail. 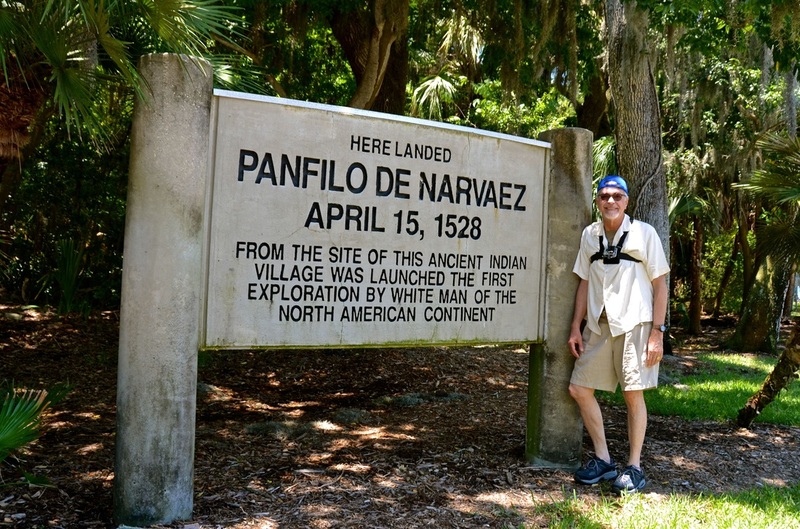 Panfilo de Narváez landing site in St. Petersburg, Fl.